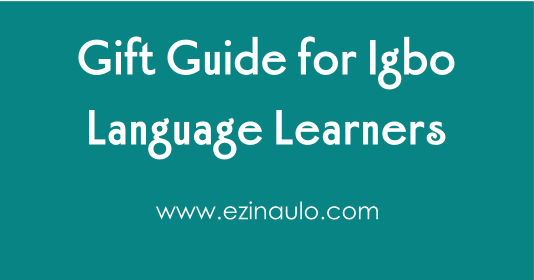 There are so many Igbo resources out there right now to help you learn Igbo …. books, classes, apps, online tutorials, and more! With all of these Igbo resources available, do you really need to get an Igbo tutor?? Eee!! This year I have started working more with Igbo tutors and it has changed my Igbo learning experience dramatically. How so? 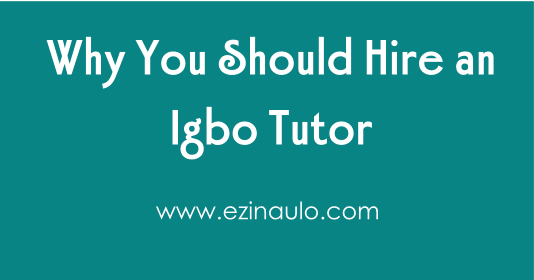 Read below to learn more about why I think adult language learners should hire a Igbo tutor! The holidays are coming up, and it’s easy to let your Igbo studies slip while you are busy preparing to spend time with family and friends. But it doesn’t have to be that way. You can find time to practice your Igbo while relaxing during your upcoming holiday vacation. One way is to invest in some new Igbo learning material and inspiring Igbo products to get you in the mood to study.